I reached out to a few friends on things to do in the Mount Shasta area. 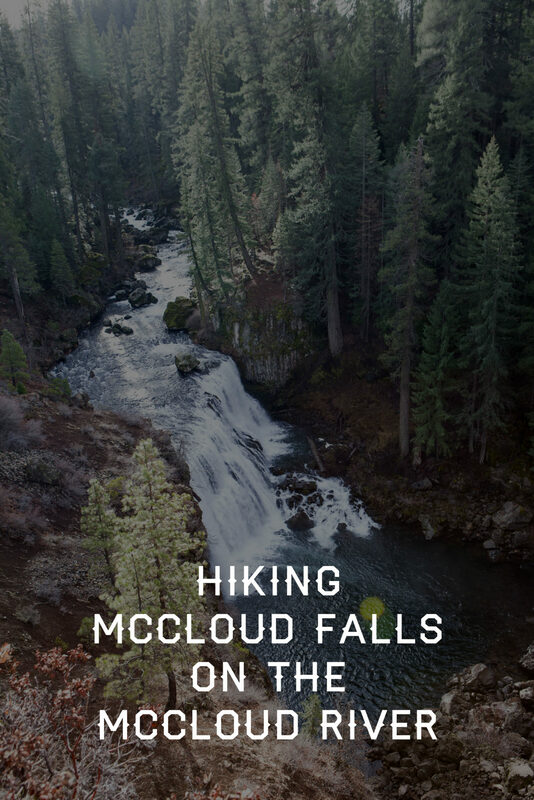 The one thing everyone suggested was the McCloud Falls trail. 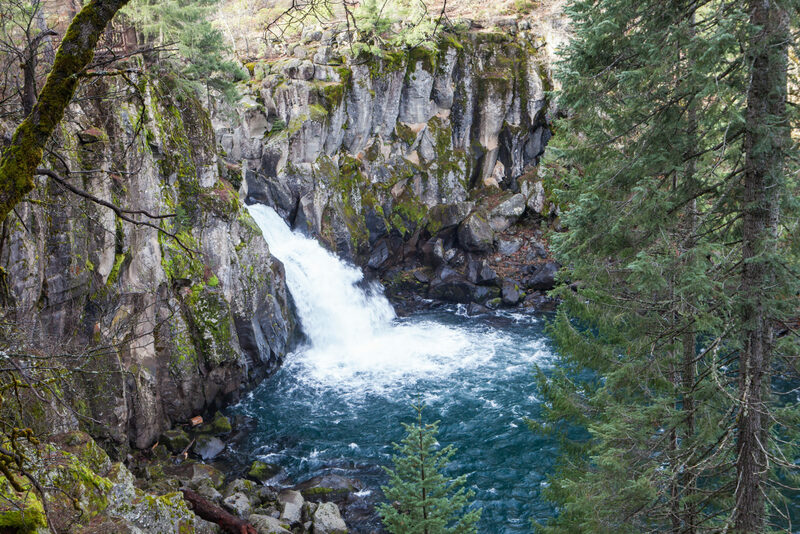 The McCloud Falls trail is an easily accessible, family friendly hike. Out and back, the trail is about 3.5 miles long with a little over two hundred feet of elevation gain. 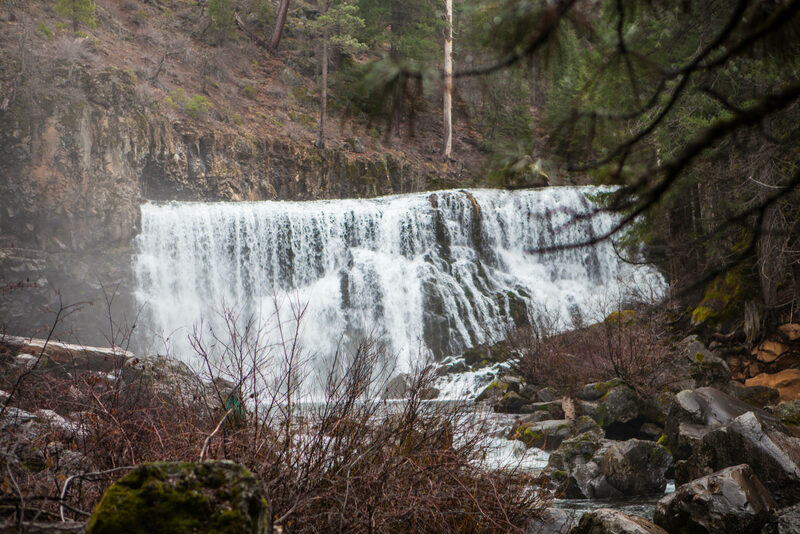 The trail visits three tiers of waterfalls on the McCloud River. If you’re looking to cut the hike short, each tier of waterfalls is accessible by car and a short walk. It is family friendly, and some spots, like the Upper and Lower Falls are also ADA friendly. We started our hike at the lower falls. The trail heads upstream just past the picnic and platform viewing area. Lower McCloud Falls tumbles down the McCloud River in a fifteen foot drop from basalt columns into a large body. In the summer, you can find swimmers in the enormous pool before the falls. 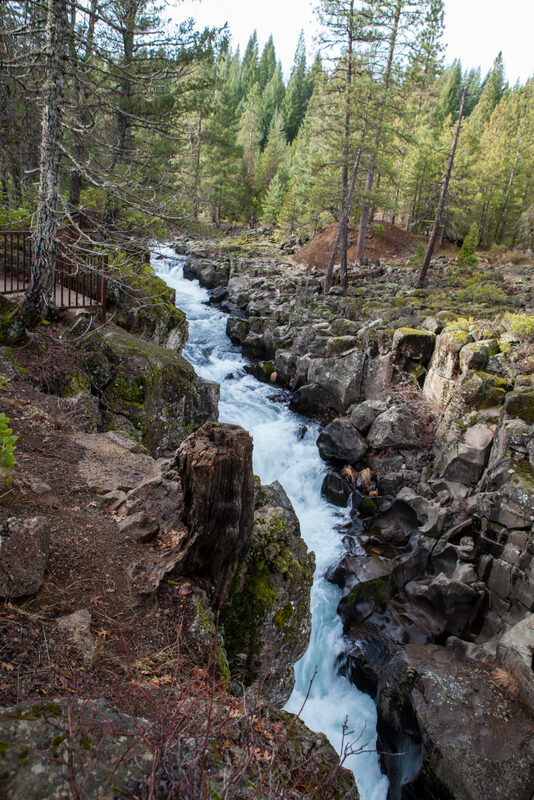 From Lower McCloud Falls, follow the paved path past Fowlers Campground. It gains very little elevation and follows the McCloud River. After about a three quarters of a mile or so, the pavement transitions into a dirt trail. The dirt trail opens up to the majestic and most impressive set of falls, Middle McCloud Falls. 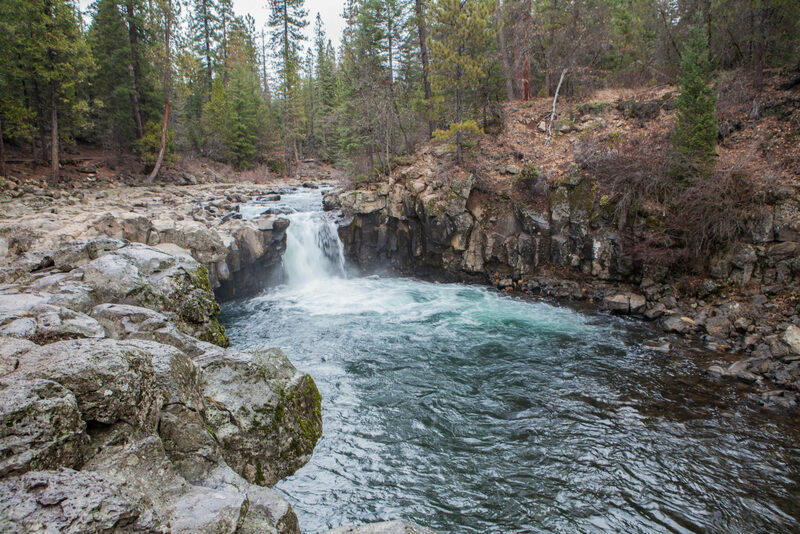 After Middle McCloud Falls, the trail turns sharply away from the McCloud River and begins to switchback upwards. At the top, a set of stairs climbs above several feet of volcanic rock to the rim. Here, hikers are treated with a bird’s eye view of the majestic waterfall and more pavement. Follow the paved trail to where the railing begins and soon you’ll be looking at the last and uppermost tier of waterfalls, spilling out between more basalt columns. The path continues further, but in the interest of time, we retraced our steps back to the car. From Highway 5, take the exit for CA-89 S/McCloud. Continue for 15.5 miles and then turn right on Fowler Public Camp Rd. Turn right to stay on Fowler Public Camp Road and park in the lot marked Lower McCloud Falls Picnic Area. At the time of posting, the Pine Tree Hollow Trailhead and kayak put-in is inaccessible by car due to a downed tree. 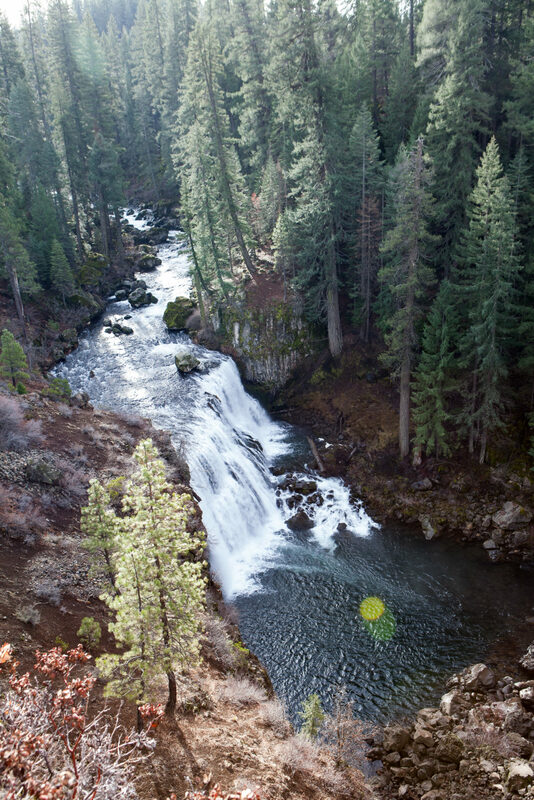 Please note: The McCloud River is the traditional home territory of the Winnemem Wintu Tribe. To them, the river is Sau’el mem, or sacred water. The Wintu name for the falls is Nurunwitipum, which means “falls where the salmon turn back”. During the summer, the Wintu people fished and hunted around the Lower Falls and lived in a village where Fowlers Camp now sits. 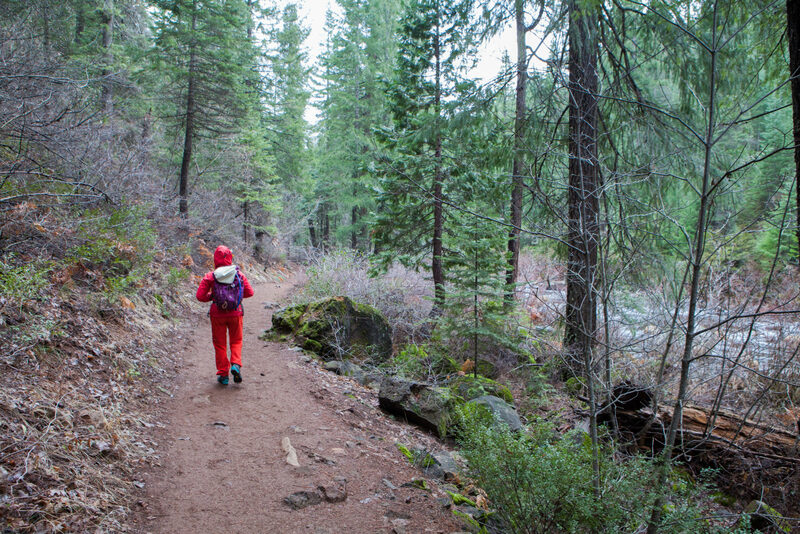 This post was created in partnership with Discover Siskiyou. Thank you for hosting us over the long weekend.